Peerless HDS-180 NOM 830883 Exclusive Midwoofer Speaker is a member of the famous Peerless HDS High Performance range. 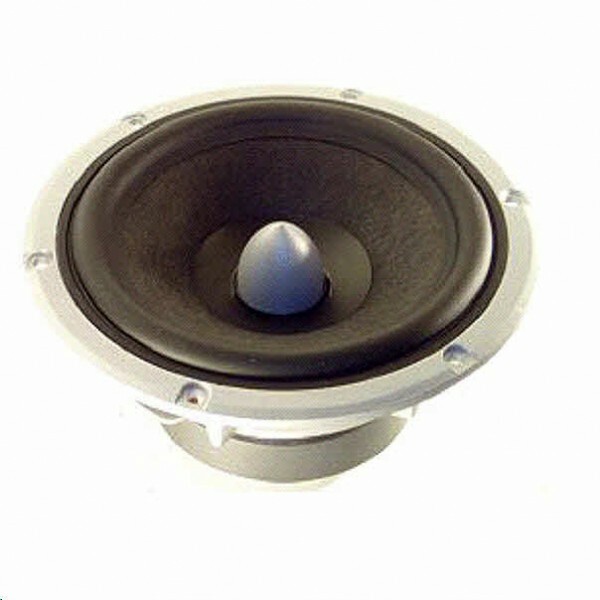 This7" 8 ohm mid-woofer drive unit has a 32.4mm 1¼" Long Throw voice coil, featuring a Nomex cone Aluminum Phase Plug, a linear spider and rubber surround. FREE UK DELIVERY. Peerless HDS-180 NOM 830883 Exclusive Midwoofer Speaker is a member of the famous Peerless HDS High Performance range. This 7" 8 ohm Midwoofer drive unit has a 32.4mm 1¼" Long Throw voice coil, featuring a Nomex cone with Aluminum Phase Plug, a linear spider and rubber surround. The cone neck is vented to reduce air compression effects at high excursions.